22 year old Toni returns to our team of elite escorts after a gap year break in the USA as a final year exchange student. 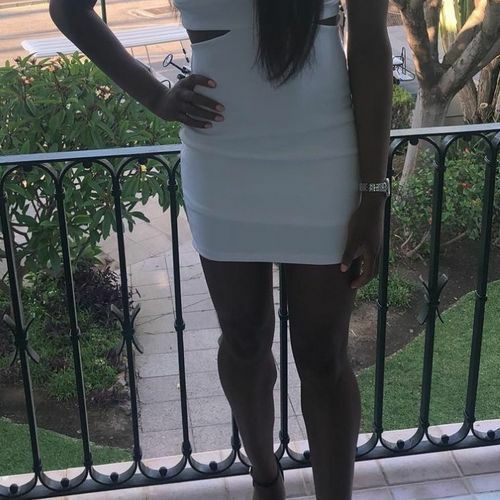 British and privately educated over the border, she has awesome tall model looks, a truly sophisticated personality and maintains her incredible slim size 8 figure with daily workouts and always immaculate grooming. Her natural 30F bust and toned booty are secondary to her pretty face, sparkling eyes, white sparkling teeth and long silky hair. Our clients always,when she joined us, commented on her chilled, mischievous personality, cut glass English accent and her ability to make one feel at ease! She is one smart young lady and can hold her own with any conversation and will always delight, whether at a private appointment, or social event (where you will be the envy of the room). Her naughty side will soon come out with the right stimulus and we can guarantee her energy and enthusiasm for intimate pleasure will astound and delight you. Toni is available in Cardiff and across South Wales by appointment for incalls and outcalls which will always fit in with her busy study timetable - so evenings and weekends are often the best time to see her. New pics will be available soon - pics now for our regular clients!